Snack cakes are great because they're quick and are usually served as is—without frosting. This tropical version, loaded with coconut, banana and pineapple, is a good example. Preheat oven to 350°F (175°C). Grease and flour 8-inch square pan with vegetable shortening. In large bowl, combine flour, oats, coconut sugar, baking powder, baking soda and salt; mix well. In medium bowl, combine pineapple with juice, milk, banana, oil and vanilla; blend well. 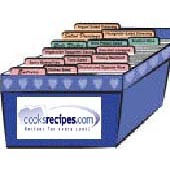 Add to dry ingredients all at once; stir just until dry ingredients are moistened. (Do not overmix.) Pour batter into pan. Bake 45 to 50 minutes or until golden brown and wooden pick inserted in center comes out clean. Cool in pan on wire rack 10 minutes. Remove from pan. Serve warm or at room temperature. Store tightly covered. Makes 6 to 9 servings.